Language – …And the Truth Shall Set You Free. LEAD-K: Deaf Centered or Bimodality Centered? That’s me. 1978. Tucker-Maxon School Playground. My mother was only 18 years old and my father was 20 years old when I was born in the same year President Nixon had resigned. The majority of my relatives are hearing. Almost all except one person who could communicate with me in sign language with me was my younger brother. 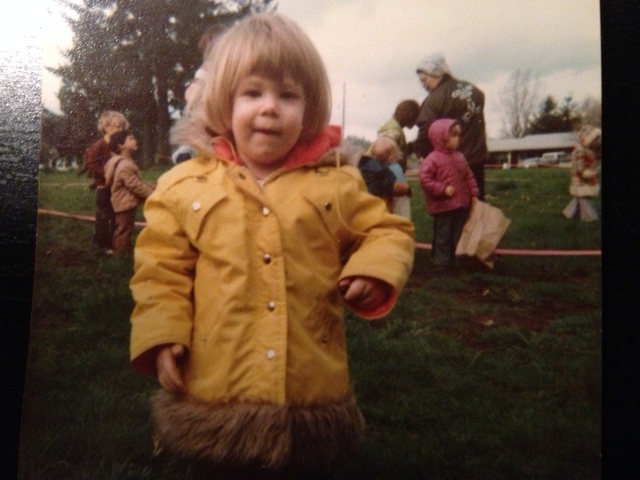 At age two, I was placed into my very first school, Tucker-Maxon Oral School in Portland, Oregon. The school was not cheap! I was a product of an oral school where their school philosophy that does not promote sign language on the ground which makes my education accessibility harder. They were trying to make me to act like a prize horse with having my own audiologists, teachers, and speech therapists policing me around and learn how to use my voice and not to use sign language and lose my dignity. That is where I became myself as “another” and loses my sense as an individual. I was only two years old that time! I can remember my first teacher, Chris (Wolf) Soland who told my parents that everything will be all right. What a big lie! Chris Soland and Alice Davis lied through their yellow teeth and tried very hard to make me successful. Their plan did not work at all. I was glad that I was a rebel kid. A friend of mine told me a story last year that a student also went to Tucker-Maxon, for the take-home final, he wrote “I do have good hearing friends but somehow, I try to make myself act normal and that I wasn’t deaf”–it broke my heart! He was taught about “hearing” people but they were not taught how to be “hearing”. Can you see the difference? It is so unfair! I was thankful that I was asked to read a book called Cratylus where Plato had Socrates question whether signs by the Deaf are equated with spoken and written names or words. The answer is aye. About 2,500 years ago, in and around the area we now call Greece, a philosopher who may have called himself Plato began an experiment in writing that would shape the world of human intelligence. Embarrassed and heartbroken by the death of his mentor Socrates, Plato left Athens and went to live in Alexandria in Egypt for 20 years. Upon his return to Greece, Plato founded The Academy–the prototype of today’s colleges and universities. Plato had inherited writing from the Egyptians who were always mindful of the fate of Thoth, the name given by the Greeks to the Egyptian god of writing and knowledge–of intelligence, reason, and logical–associated with learning, language, and literature. After Thoth presented his invention in the court of Pharaoh, he was removed from the chamber so his masterpiece could be examined and deliberated. It was decided that Thoth should be punished to die because written words cannot be questioned for the answers to Pharaoh’s quest for truth. Although the written words are keys to doors leading to truth, the doors are not opened and the truth beyond the doors are not perceptible to Pharaoh’s eye, which means no prior knowledge. The whole point is that Tucker-Maxon Oral School knows that Oralism is not even part of intelligence, reason, and logical–again, associated with learning, language, and literature. Tucker-Maxon teachers are too stupid to know that sign language is very much part of intellectual discourse, while Oralism has NO knowledge and is not perceptible in our eyes! Also, cochlear implant companies as well as late Mr. William House, the father of Cochlear Implant, heavily appropriated Tucker-Maxon. In fact, Tucker-Maxon was the first oral school in America to offer cochlear implant program. Oregon is the home of the cochlear implanted. I will not name William House as Dr. William House, I will call him Mr. William House instead because he does not deserve the title of Doctor. He said, “Deafness is a such a horrible thing”, he told an audience at Brigham Young University (BYU) in 1997. “If a person can hear in their last years of life, I think it is worth it. I recently put an implant in a 95 years old man. He got married after that” What a gelding! His wife was exploiting his life insurance. That was the bottom line. By the way, Karl White was his huge supporter. Plato, by Reeve, C.D.C. 1998. Cratylus. Cambridge: Hackett Publishing Company, Inc.